The Upanishads constitute the ‘anta’, the finishing portion of the Vedas. Therefore we find this matter in abundance there. Is not the very purpose of the Upanishads to take us jIvas who are stuck in this worldly impermanence out to the Permanent One ? Starting from the small boy Nachiketas all the way up to Indra himself several have been known to have understood the impermanent as impermanent and comprehended the Principle of Nitya – such stories have come down to us in Kathopanishad, Chandogyopanishad, etc. The Lord of Death himself offered several rare gifts to child Nachiketas, but the latter turned all of them down, saying “All these are ephemeral; one day or other won’t they all come back to you?”. And, he insisted on having the tattva-upadesha from the God of death himself and finally got it! Among all the impermanent things, there is only one thing that is ever permanent – said Yama-dharma-raja *nityo’nityAnAM*. “Whoever finds it, to him there will be eternal peace; not for anybody else”. All that we call wealth is anitya; nothing that belongs to anitya will ever lead to the nitya-vastu, that is the Atman. In the Chandogya story, Virochana the King of Asuras , as well as Indra the King of the Gods, both of them pursue the question : “What is the Atman?”. The asura comes to the conclusion that the body is the Atman. It is ‘Asura-Vedanta’! On the other hand, Indra does an analysis of experiences in the waking state, dream state and the sleeping state, discards them one by one as unreal and finally comes to the Reality that is the Atman. This kind of discarding is nothing but ‘nityA-nitya-vastu vivechanam’ – the discrimination between anitya and nitya. 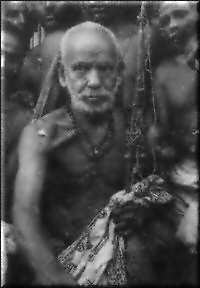 In the Taittiriya Upanishad Brighu Maharishi begins from the anna-maya kosha, and goes through all the koshas, first thinking that it is Brahman and then after enquiry discarding it and finally comes to the right conclusion that Brahman is what remains as the substratum of even the Ananda-maya-kosha.